It's hard to put a specific time frame on when the press-coined term 'Beatlemania' started and ended. Some would say it began in 1963 when the Beatles appeared on 'Val Parnell's Sunday Night at The London Palladium'. Some might say it began in 1960 at the Litherland Town Hall in Liverpool when the band debuted their new sound "direct from Hamburg". It didn't all start at once that's for sure. It probably began at the Litherland Town Hall that cold December night. It's equally hard to pinpoint when the mania ended. Some would say when the Rolling Stones became more prominent, some would say when the Beatles stopped touring and some people like myself would say that it never did end. Yeah! Yeah! Yeah! : Beatlemania in full swing in 1964. 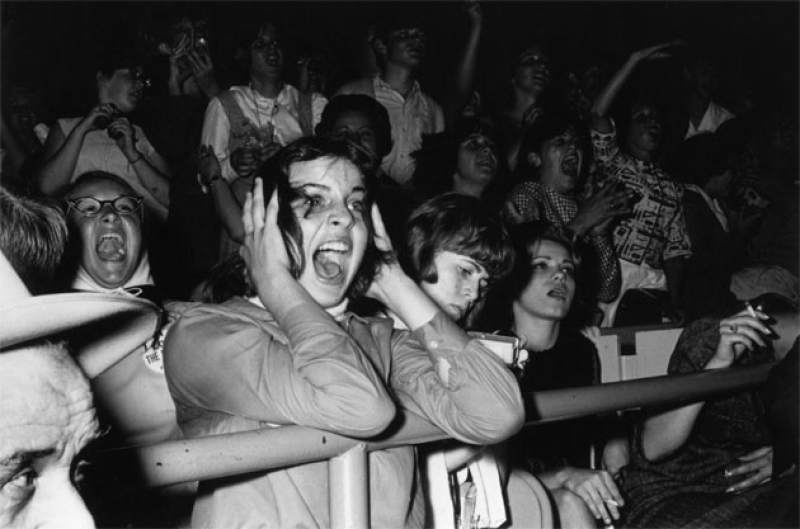 Worldwide Beatlemania erupted in 1964. The band wanted to be at the "toppermost of the poppermost" but this was going over the top into a hail of women screaming and throwing themselves at them wherever they went. The press too were always there with their pencils and notepads writing down everything they said and did and were snapping endless photographs to prove it. There was no outlet for them except to each other and their music. In those days, John Lennon couldn't tweet from his iPhone; "Just landed at New York, so many fans here to greet us, good to be in America!" or tweet pictures from the set of 'A Hard Day's Night' like so many pop stars can do today. It is generally agreed that the crazy aspect of Beatlemania largely ended when they played their last tour concert at Candlestick Park in San Francisco on August 29th 1966. After the Beatles disappeared for the last few months of 1966. Press speculated that they had split up and pondered the future without them. Many parents heaved a sigh of relief and others shook their heads and told their confused children "You see? I told you they wouldn't last!" and the teenyboppers who were madly into the mania turned their attention to other bands who were around; Herman's Hermits, The Who, The Hollies, The Kinks and, of course, The Rolling Stones. The Beatles performing 'She Loves You' live in Manchester, 1963. I can never imagine how crazy girls went back then. They see a guy with long hair, and that can play music, and they go ga-ga! It must have been the same way as when The Stones invaded America. Hm,, American women their cute lil British musicians, lol!!! What is it about British musicians that American women like? Indeed! It was truly a magical time! Yeah, a time I would have loved to have grown up in!!! The 60s rock!! They had good fashion, especially good music. Heck, I love almost all aspects of the 1960s. The racism and segregation aspect? No, I hate that part. Racism is not my thing! !